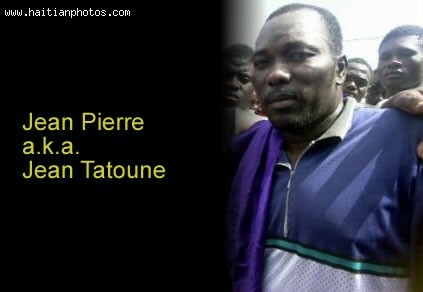 This is Jean Pierre Baptiste alias Jean Tatoune . He is credited for not only opposing two governments but also worked to remove them from power. Namely Jean Tatoune was in part responsible to the removal of Jean Claude Duvalier from office as well as Jean Bertrand Aristide.